This entry was posted in Dinner and tagged Cooking, Dr. Suess, Fish, fish store, flounder, Liman, New York pizza, One Fish Two Fish, porgies, Red Snapper, Roasted Fish, seafood, Sheepshead Bay restaurants, The Breakfast Club sushi lunch scene, Whole Roasted Fish, Yisou by pomegranatesandhoney. Bookmark the permalink. I actually made this tonight and it was excellent! I was so blown away by the perfect latke recipe that I decided to try this. 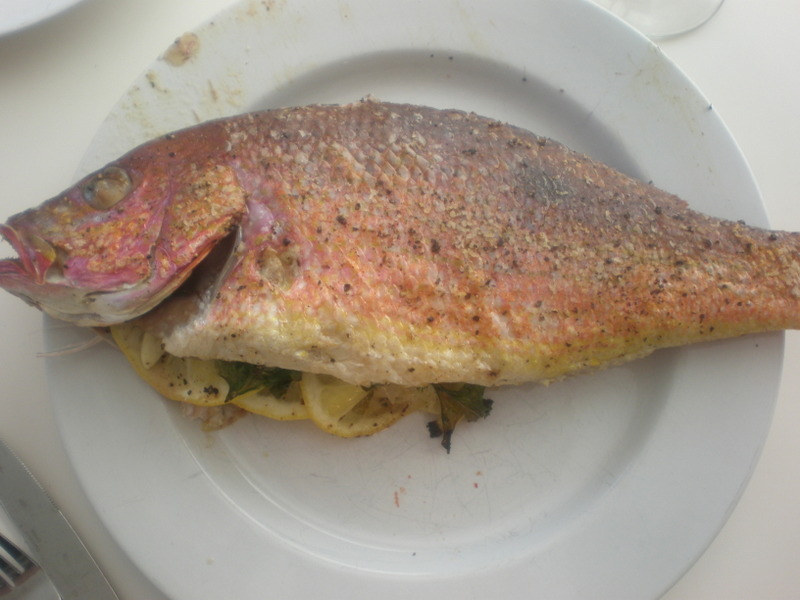 I figured we’d make it filleted, but Jon called from Bob’s saying they had whole fish. The kids flipped out a little seeing the eye… but got over it and LOVED the fish! I’m hooked on Aura’s recipes. Best chef ever. Thanks Aura! 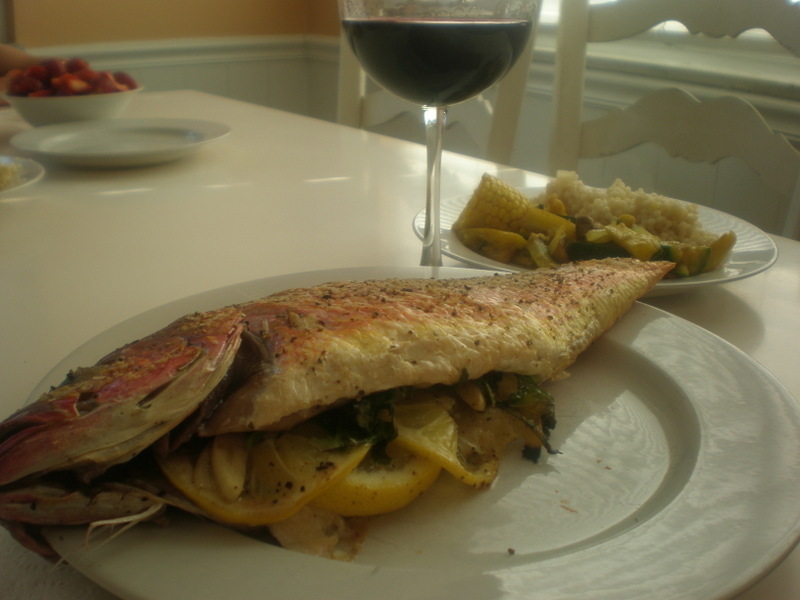 Great blog, I’m hungry for fish now. 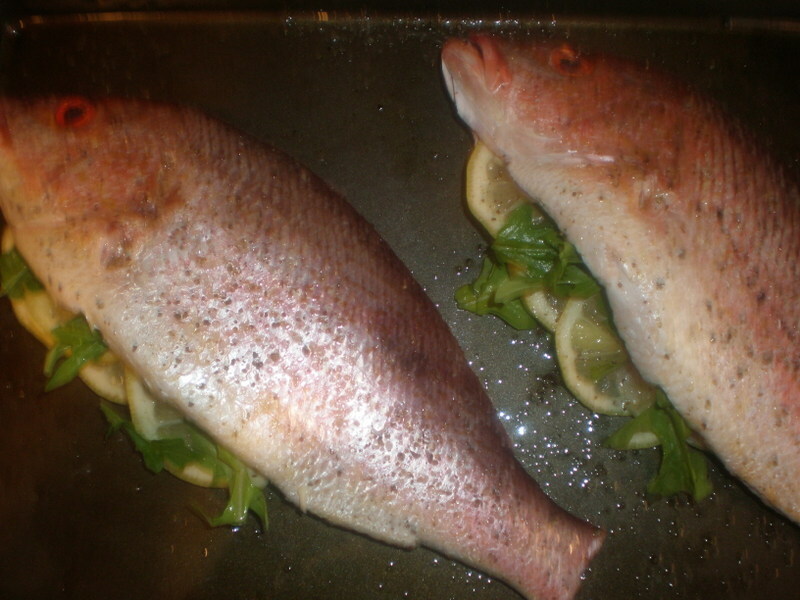 I also have problems with fish heads looking at me but it sounds yummy. 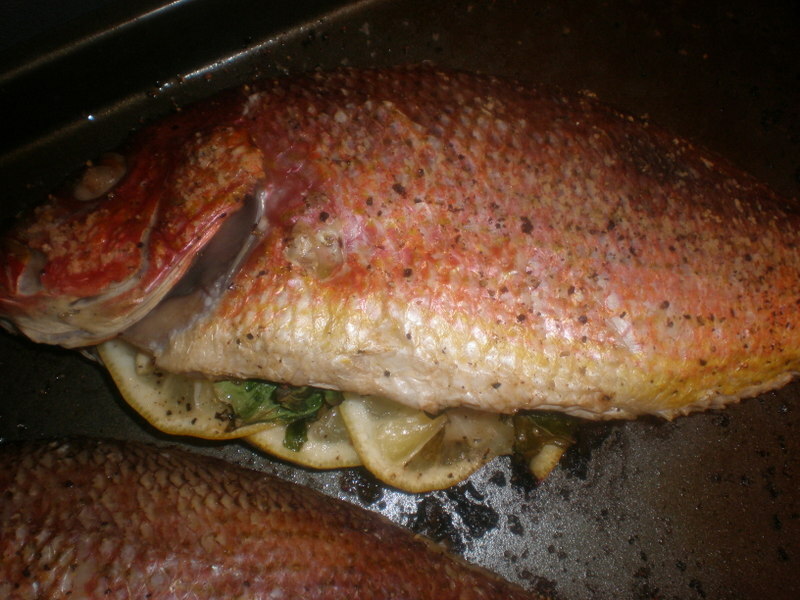 I would so make this if I could get past looking at the fish head. It makes me lose my appetite…. 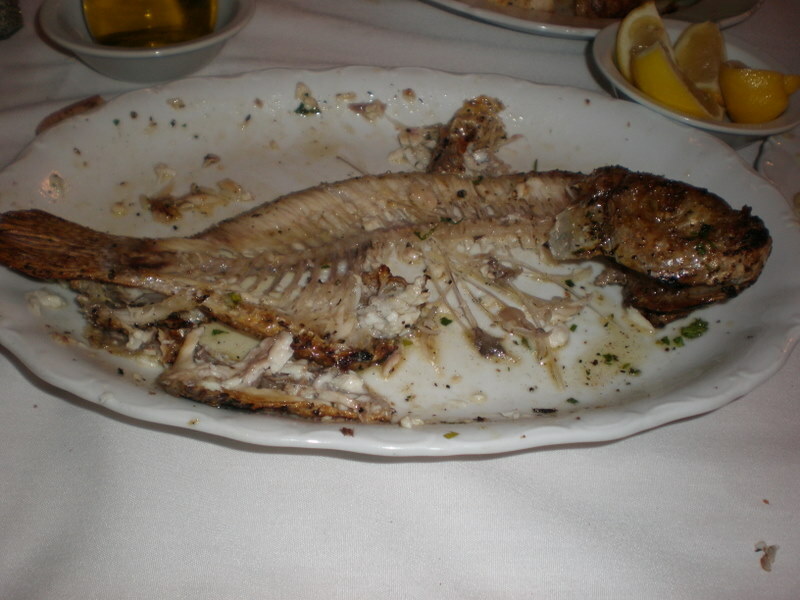 however, if the fishmonger would cut off the head….then I could do this…hmmm – an idea is cooking for Friday – now to find time to shop for the right fish minus its head…. Where should I go??? I bet the fishmonger would be happy to behead your dinner! Try Whole Foods or Bob’s Seafood for the best. But if you see something interesting at Dierberg’s, go for it–the one at Craig and Olive has the freshest fish. 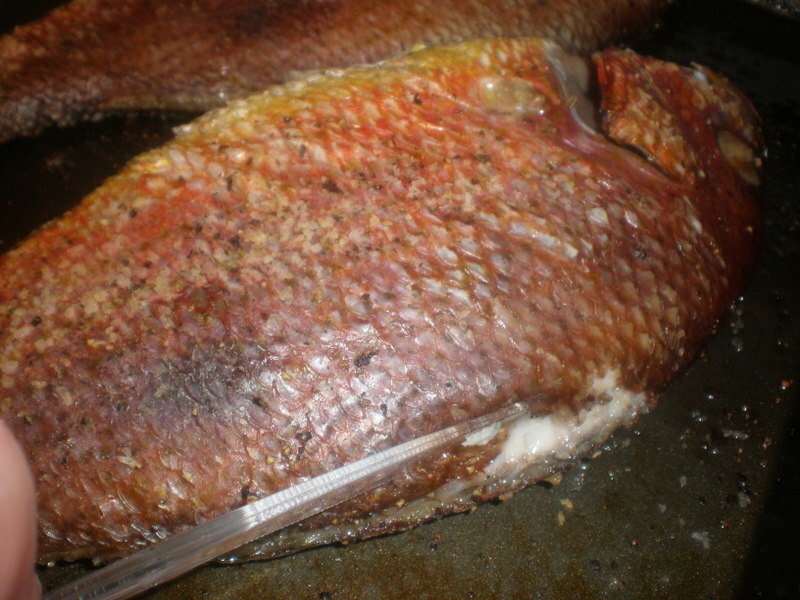 I must confess I got my Red Snapper at Sam’s Club and was a little nervous because it had an expiration date a week out! But it turned out to be great! Good luck and let me know how it goes! First of all, can’t wait to try the fish….